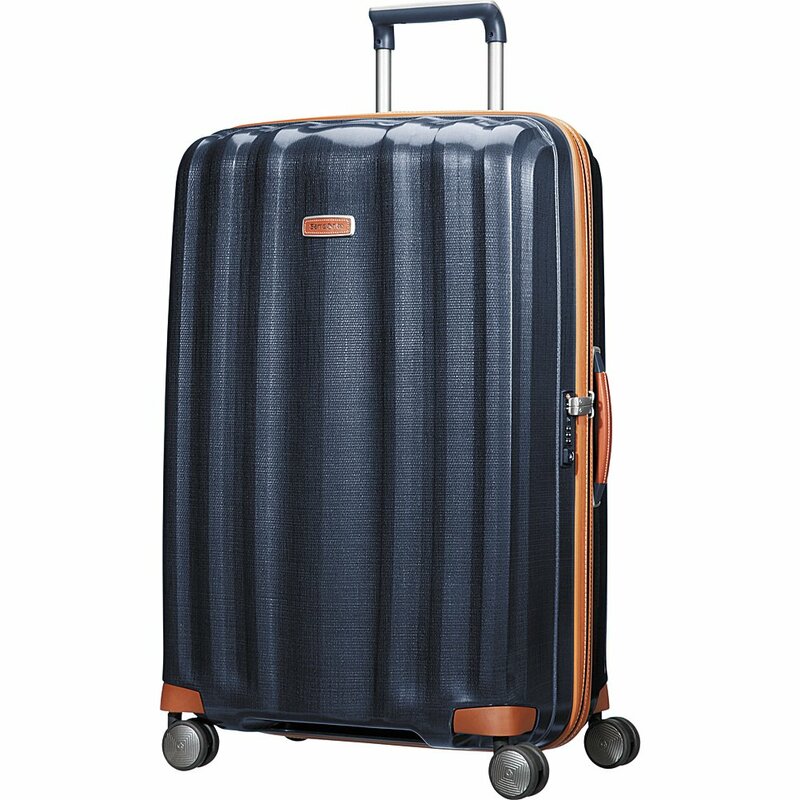 The Samsonite Lite-Cube DLX Spinner is the smallest and one of the most lightweight suitcases I have used. The 4 wheels, allow it to be pushed or pulled, making the easiest case I have used. The Lite-Cube DLX uses Samsonite’s Curv material, which provides a super lightweight but very strong shell. The 55cm model (Which we are reviewing) fits into most airline cabins, but we would always recommend checking beforehand. 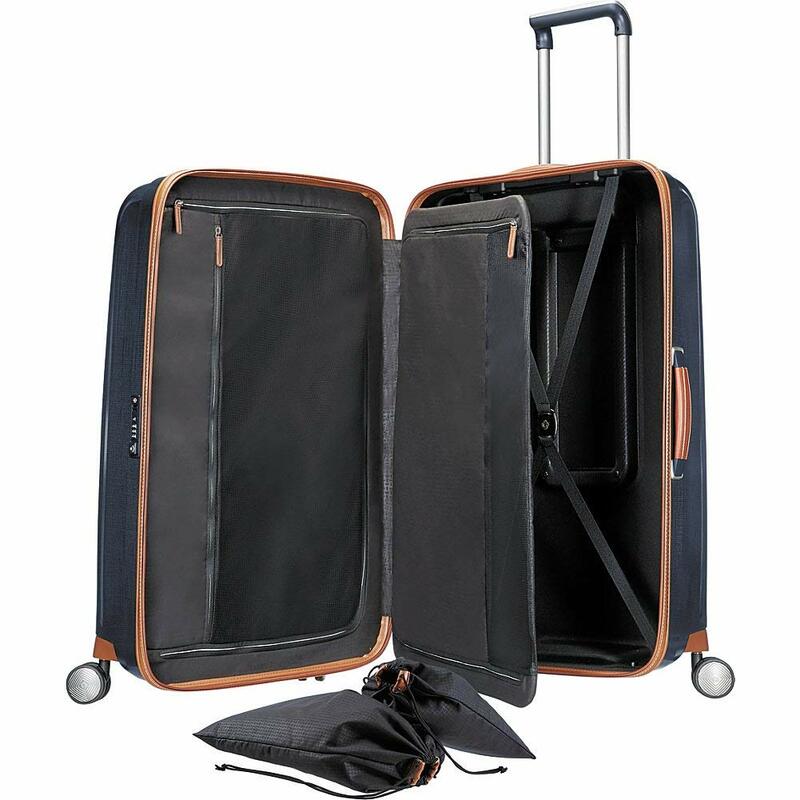 There are also the 8 wheels along the bottom, that allows the case to slide around with ease. 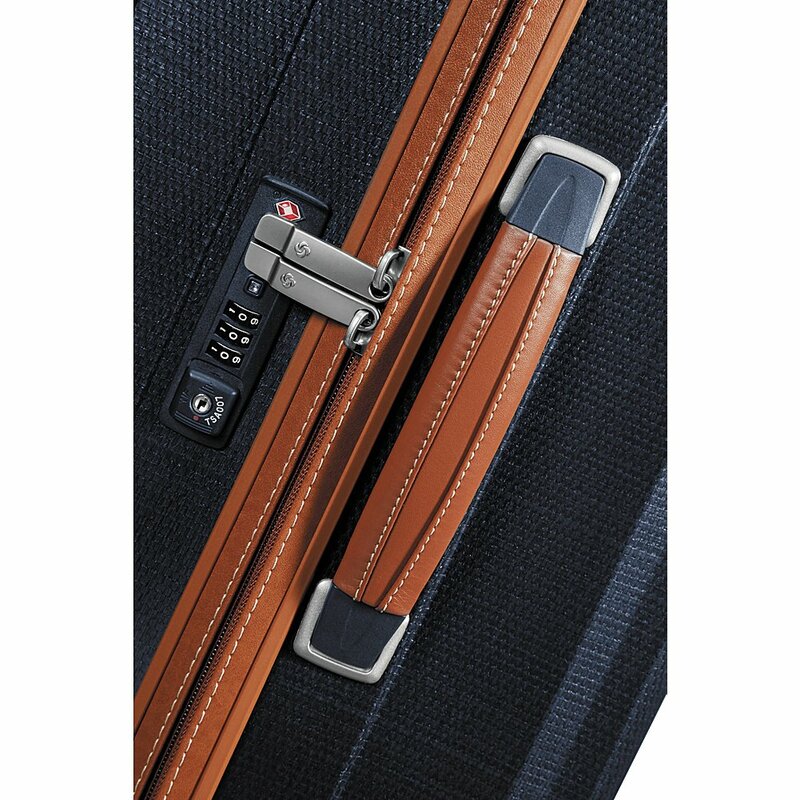 Although surely built for business travellers, there is no laptop sleeve, which can be found in fabric cases. Though there is a mid-layer section for storing an ironed dress or shirt. Each half can be zipped up and becomes its own self contained section. One half also features an elasticated strap to keep everything in place. I was amazed by how much space was in each half. Samsonite was clever enough to include a small, transparent wet pocket which I found to be very useful. There was also a shoe bag, which is good as we like to walk, and don’t want to get dirt in the case. It’s also got a three-digit TSA combination lock.